When Are They the Same? On or Off the Line? Volume As a Function of . . .
Is a Smartphone Smart Enough to Go to the Moon? Let’s look for associations in data. Your teacher will hand out some cards. 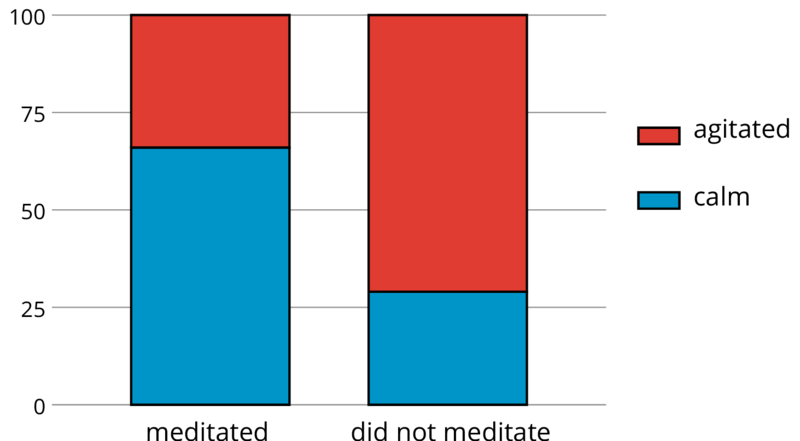 The bar graphs and segmented bar graphs have their labels removed. Put all the cards that describe the same situation in the same group. One of the groups does not have a two-way table. Make a two-way table for the situation described by the graphs in the group. Label the bar graphs and segmented bar graphs so that the categories represented by each bar are indicated. Describe in your own words the kind of information shown by a segmented bar graph. One of the segmented bar graphs is missing. 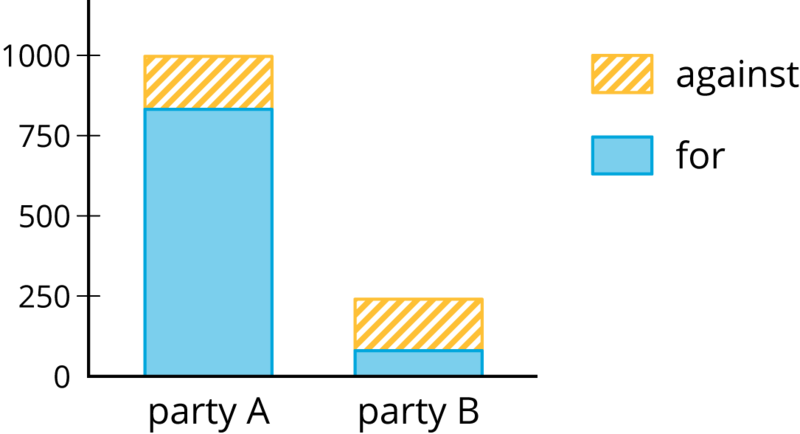 Construct a segmented bar graph that matches the other representations. Here is a two-way table that shows data about cell phone usage among children aged 10 to 18. Complete the table. In each row, the entries for “has cell phone” and “does not have cell phone” should have the total 100%. Round entries to the nearest percentage point. This is still a two-way table. Instead of showing frequency, this table shows relative frequency. Two-way tables that show relative frequencies often don’t include a “total” row at the bottom. Why? Is there an association between age and cell phone use? How does the two-way table of relative frequencies help to illustrate this? A pollster attends a rally and surveys many of the participants about whether they associate with political Party A or political Party B and whether they are for or against Proposition 3.14 going up for vote soon. The results are sorted into the table shown. A second news station shows this graphic. Are any of the news reports misleading? Explain your reasoning. Create a headline, graphic, and short description that more accurately represents the data in the table. When we collect data by counting things in various categories, like red, blue, or yellow, we call the data categorical data, and we say that color is a categorical variable. We can use two-way tables to investigate possible connections between two categorical variables. For example, this two-way table of frequencies shows the results of a study of meditation and state of mind of athletes before a track meet. If we are interested in the question of whether there is an association between meditating and being calm, we might present the frequencies in a bar graph, grouping data about meditators and grouping data about non-meditators, so we can compare the numbers of calm and agitated athletes in each group. Notice that the number of athletes who did not meditate is small compared to the number who meditated (29 as compared to 68, as shown in the table). If we want to know the proportions of calm meditators and calm non-meditators, we can make a two-way table of relative frequencies and present the relative frequencies in a segmented bar graph. 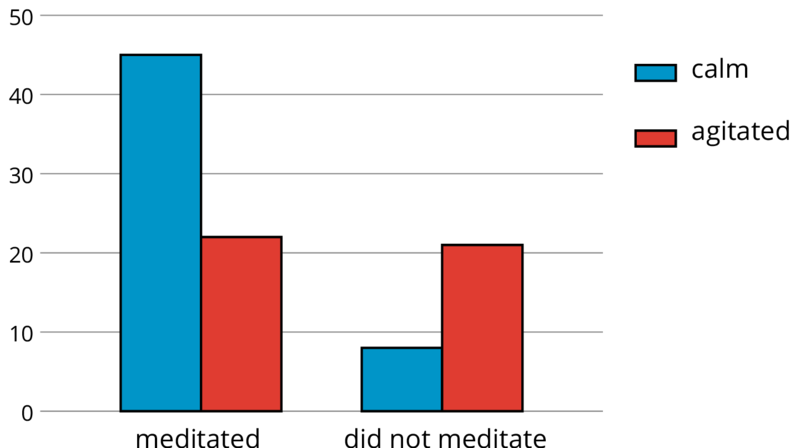 A segmented bar graph compares two categorical variables by showing one of the categories on the horizontal axis and representing the percentages in the other category with stacked vertical bars. A two-way table provides a way to investigate the connection between two categorical variables. It shows one of the variables across the top and the other down the side. Each entry in the table is the frequency or relative frequency for the corresponding pair of categories. The two-way table shows the results of a study of the connection between meditation and state of mind of athletes before a track meet.